Summer is here and it’s time for adventure. Seasons have changed and getting outdoors and enjoying what summer has to offer should be on top of your list. There are so many activities to consider, and backpacking this summer should be one of them. Packing off into the wilderness, across a desert, over a mountain, or along a river offers endless excitement and discovery, but don’t let a limited budget or large gear purchases keep you off the trail. There are ways that you can enjoy your time off the beaten path deep into mountain country, or along a well-traveled trail in a national park camping and backpacking without breaking the bank. One way is considering the possibility of renting backpacking gear! Gearing up for a trip into the wilderness, especially for first time or beginner backpackers can really put a hurt on your wallet. Whether you are looking to get started into backpacking or looking to try out a piece of gear before making a long-term investment, renting equipment can make a lot of sense. Some articles of your backpacking gear should be invested in from the start. A good pair of boots with time to break them in is a vital investment for any packer, rain gear, and quality socks are on the list too. Tools for camp like a water filtration system, first aid kit, and a basic mess kit are personal items that make sense to buy stock in from the beginning, and make packing up quickly and planning a trip easier. Other large items that are required for backpack tripping that come with a bigger price tag are perfect examples of gear that can be rented rather than purchased. By making your money work for you and investing in quality equipment only for the time you need it by renting, you can stretch your vacation dollar and adventure budget, maybe squeezing in one more day, or even one more trip this season! Factors that make gear rental ideal include stretching your dollar, keeping clutter out of the house, and always having access to the latest gear. When you only take one or two trips a year, or maybe only every other year, not having to store tents and packs and sleeping bags for a whole family fifty weeks out of the year for one week in the field is appealing. Having access to the latest gear, modern technologies, and new equipment year after year without large investment is an ideal situation for backcountry travelers. So what gear should you consider renting rather than buying? What is the best bang for your backpacking budget, especially when you are new to backpacking? Overall your two biggest investments are backpacks and lightweight tents. Considerations – Going on a backpacking trip obviously requires a backpack. A good pack is a big investment, and finding the pack that is right for you is not always simple. There are options to consider including frame type, fit, and pack size. Are you planning on two days in the backcountry, or a week? By taking advantage of rental packs from quality manufacturers, a hiker has the ability to decide their preferences without the large investment of a new pack upfront. Multi-Day Trips – Packs like the Kelty Coyote 65L are great choices for hikers looking to extend their backcountry time longer and farther. Renting a backpack with adjustability and versatility like the Kelty Coyote goes a long way to outfitting your gear needs and your budget needs. The Kelty Coyote 65L is highly adjustable to fit many different body types, and is built rugged to withstand miles on the trail. Youth Packs – Another exciting option when considering backpacking is getting young people onto the trail. The idea of buying a pack today that won’t fit next season, however, is not too appealing. Having the option to rent a pack like the Kelty Redcloud Jr Backpack for this season’s trip is the perfect fit. Renting gear for young hikers gives you the ability to match the right gear to your young camper from year to year as they grow. 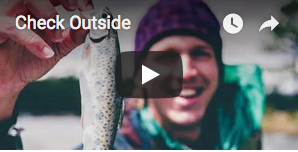 A great option for families, scout troops, or church youth groups; renting packs for young hikers might be the difference between getting a young person hooked on the outdoors or not. Day Hiking – One final consideration for backpacks is a daypack. Spending multiple days in the backcountry at a time with a full load of gear is fantastic, but sometimes schedules, health, family and other obstacles get in the way of long trips into the backcountry. Having the option of the Kelty Redwing 32 daypack, or even the Kelty Journey Kid’s Carrier to pack the little adventurer along with some snacks, water, maybe even a book and a blanket onto your favorite trail allows for amazing mini hikes, maybe even with mini hikers coming along. Considerations – A good tent in the backcountry is essential, but it’s also a large investment. There are many options to consider when it comes to tents on a backpacking trip. The size of the tent and the number of people it sleeps comfortably is primary, but close behind is the size and weight of the tent in the backpack. Traveling with varying group sizes and in varying conditions shouldn’t dictate you own a tent for a three-person trip, a fiver person trip, or two tents for a six-person trip for that matter. Renting the tent you need for the trip you need it on makes perfect sense and allows you to customize your gear for the trip and the team. 2 Person – The Kelty Outfitter LT 2 person tent is a great choice for either two people on a backcountry hike, or a 4 person team sleeping 2 to a tent. Weighing in at less than 5 lbs. The 2 person Kelty Outfitter LT 2 has a roomy vestibule to protect boots and gear overnight from wet weather. Splitting up a two-person tent in the pack allowing one hiker to carry the poles and stakes and the other hiker the tent fabric and rain fly is a fantastic way to share the load and make the miles on the trail more enjoyable. 4 Person – Kelty’s Outfitter LT 4 is the solution for families packing together. By packing one tent for a three or four person group, the average load per hiker goes down. Similar to the 2 person tent, the 4 person shelter can be split between hikers in the group, keeping the tent burden from any single hiker. The use of one large shelter rather than two smaller tents requires only a single tent site in camp, in the backcountry finding a site with room for two tents can be a challenge. Using on larger tent for your group also provides a single gathering place for card games on rainy days, or connecting conversations in the evening. Basecamp – Sometimes setting up a base camp either at a trailhead or back in on a jeep trail or someplace with vehicle access is the way to go. Setting up a base to hike from each day of your trip allows for a few more amenities in camp, and maybe more options on the trail. 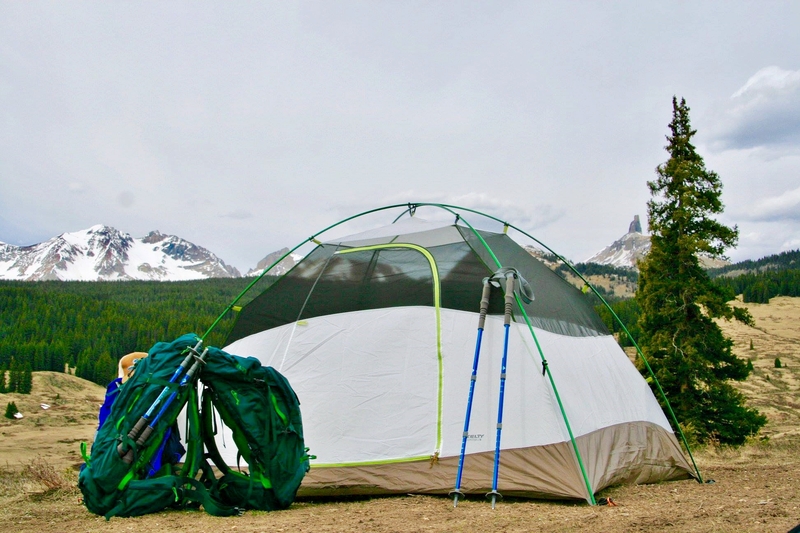 The Kelty Outfitter Basecamp 6 is a terrific solution for basecamp camping. With plenty of room and flexibility, this 6 person tent is ideal for a camp from 4 to 6 people looking to establish home in the backcountry for a few days and trek out for adventure, fishing, nature hiking, and exploring each day. Sleeping Bags –Renting a clean and laundered sleeping bag makes a lot of sense if you are brand new to backpacking. Top end bags that are light, small, and warm will really put a crunch on your budget if you are buying rather than renting. Why not rent a bag for your trip at a fraction of the cost while you are getting your hiking legs under you. Stove – Backpacking can take you to some amazing places surrounded by beautiful forests, mountains, and rivers. Many of these same places have rules and restrictions surrounding campfires, stoves, and open flame. If your trip requires a camp stove, or if you are setting up base camp where fires are permitted only in fire rings, consider renting the stove equipment you need. Adding the warmth of a fire from either a cooking stove and a cup of coffee, or a campfire and roasted marshmallows to your camp is a must have creature comfort. This affordable package offers the bare essentials for a great deal on a budget! Time invested in the outdoors is priceless. The more time we can spend with our family and friends, or even solo in the great outdoors the greater our investment in ourselves. Budgets and time are limited resources, but making room in our adventure budget by renting gear for our backcountry trips can open up doors to more time outdoors. Next time you are thinking about leaving boot tracks across a remote trail or favorite path, consider putting your dollars to work by renting backpacking gear. It can help you get out more often and stay longer!